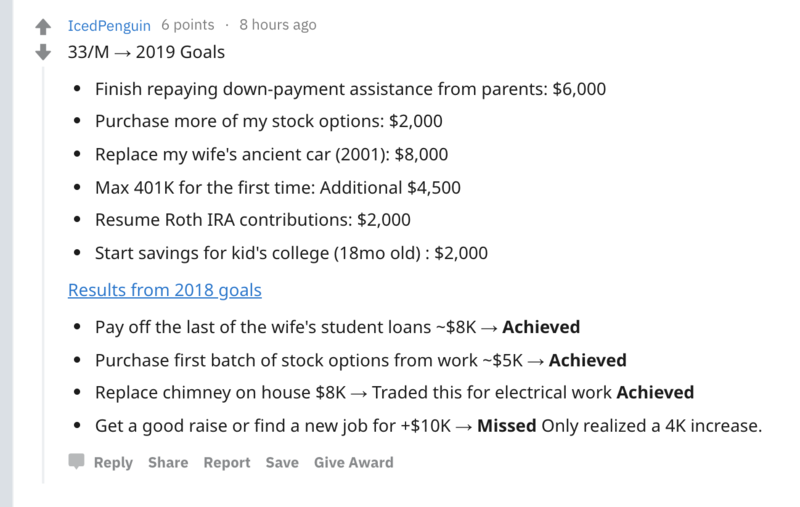 Here are some actual 2019 goals from users on Reddit. Remember, personal finance is personal. Some of these goals are inspiring because they are ambitious towards building wealth, some are inspiring because they are goals towards getting rid of debt. Everyone is on their own journey and what’s most important is that you take one step at a time and are honest about where you are. 23 year old woman is saving an additional $10K this year. 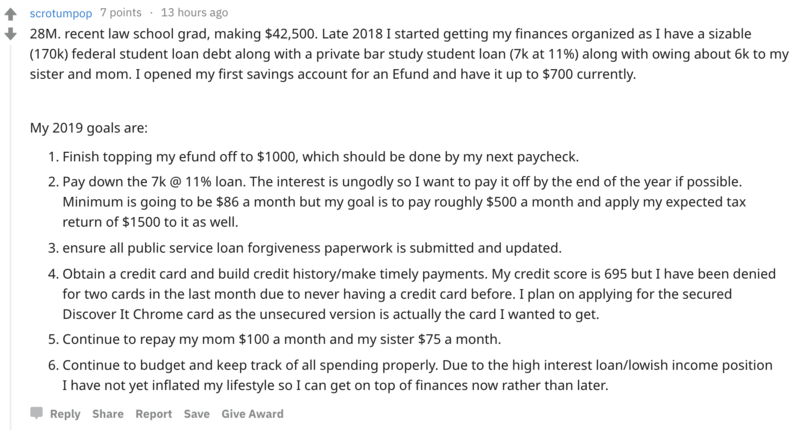 28 year old law school grad is building up his emergency savings. Woman wants to get rid of a loan once and for all! This person wants to get out of the red, that’s a big step. This 22 year old is learning to do his taxes and is planning his money better this year.